Dementia carers require more support and guidance to navigate the end-of-life care for their loved one, a new international study has found. The research conducted by Advance Care Planning Australia (ACPA) and published in Palliative Medicine highlights the emotional pressures faced when carers are forced to confront tough decisions and conversations about advance care planning. The study reviewed 81 articles involving 400 people with dementia and 1,864 carers from 14 countries including Australia, the United States and the United Kingdom, in an effort to improve advance care planning for the almost 50 percent of people who will not be able to make their own end-of-life decisions. Anxiety about death, reluctance to confront cognitive decline and the fear of being locked into an inflexible pathway of care are just some of the barriers preventing people with dementia from experiencing a dignified death. It was also revealed carers lack trust and confidence in the information and support received through aged care and other health providers. Unfortunately, when people with advanced dementia are unable to make decisions on their medical treatment, the responsibility often falls on carers, which can be met with distress if the person hasn’t stated their preferences. However, previous research has found advance care planning actually reduces anxiety, depression and stress experienced by families of the loved one in need. Medical Director of ACPA Dr Karen Detering says dementia is now a leading cause of death in Australia and more must be done to ensure people are given the opportunity to pass away as graceful and dignified as possible. “This study shows that we have a long way to go in normalising advance care planning and end-of-life discussions,” she says. “Dementia is an illness with a known trajectory, yet individuals, families, aged care providers and health professionals still struggle to plan ahead. “Too many people are denied a dignified and peaceful end. Families are needlessly suffering the burden of decision-making on a knife’s edge. 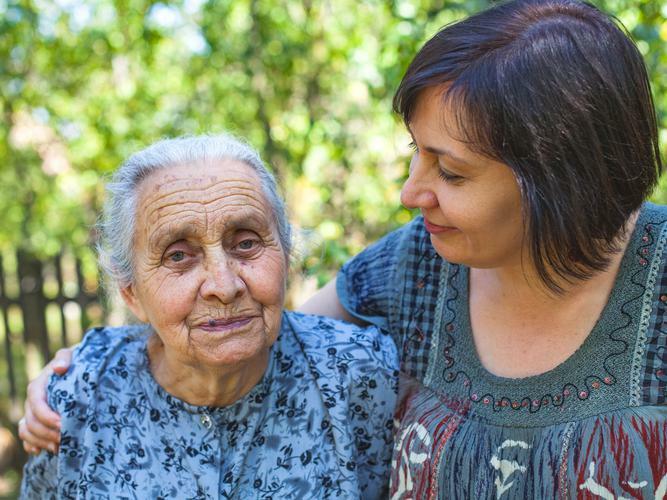 Chief Executive Officer of Dementia Australia, Maree McCabe agrees that these difficult and uncomfortable advance care planning conversations need to happen to ensure better end-of-life outcomes for our loved ones. “With the increasing number of Australians developing dementia, the need for people living with dementia and their carers to plan ahead for their future is paramount,” she says. But Ms McCabe says these end-of-life discussions are not only important for people living with dementia, but for everyone. “Advance care planning is essential planning for everyone and especially important for people living with dementia and their carers,” she says. Practical information and resources to help kickstart discussions about advanced care planning can be found on Dementia Australia’s Start2Talk website or you can call the National Dementia Helpline on 1800 100 500 with any concerns or questions.